It’s not a secret that I’ve got a soft spot for meteorites, especially the sort that I can get my hands on and turn into jewelry. Since meteorites are samples of the universe outside our atmosphere they are kind of by definition awesome, excepting the occasional mass extinction event causation. But humans are knowingly creating the current age of mass extinction, so who are we to throw stones at non-sentient space rocks? A scientist named Clair Patterson (1922-1995) used meteorites to help determine the age of the earth. In studying them to learn about our home, he discovered a much closer and more personal problem-atmospheric lead. Friday the 13th falling on a full moon strikes some as a particularly bad combination. (I’m generally not worried about Fridays no matter what the date unless it happens to be the Friday after Thanksgiving, then we’ll talk terror.) Experimentation has shown that neither Fridays that fall on the 13th day of the month nor (slightly more plausibly) full moons have any measurable effect on accidents. Scientific American had an interesting article on Lunacy and the Full Moon. But the confluence of those two things and the belief they bring bad luck and madness reminded me of someone I first read about in Bill Bryson’s A Short History of Nearly Everything. 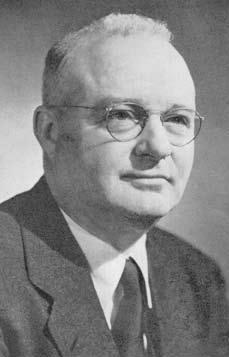 He worked under Charles F Kettering at GM and was the man who discovered that tetraethyl lead in gasoline reduced engine knock. Lead was already known to be dangerous, but was still widely found in consumer products of all kinds. Despite being a neurotoxin, it was easy to extract and work with, and as Bryson adds “almost embarrassingly profitable to produce industrially”. 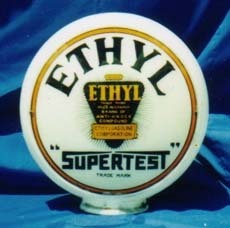 In 1923 General Motors, Du Pont and Standard Oil formed the Ethyl Gasoline Corporation and started producing lead for gasoline to the public. Workers became ill at staggering rates and the Ethyl Corporation denied that lead had anything to do with it. And kept denying it. In January of 1923 Midgley took a long vacation in Florida, saying that he needed to breathe fresh air after working with organic lead for the past year. A year and a half later he touted tetraethyl lead’s safety at press conference, pouring it over his hands and inhaling its fumes and claiming he could do that daily with no ill effects. Shortly thereafter he went to Europe to be treated for lead poisoning. 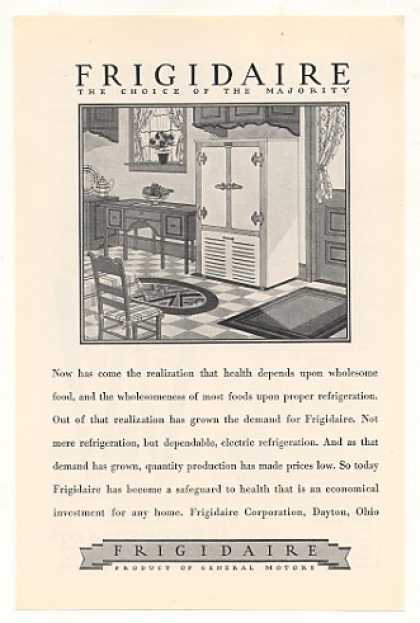 In the late 1920s refrigeration systems used refrigerants that could be toxic, corrosive, flammable and even explosive. GM had Kettering form a new team to investigate better alternatives. His new group included Midgley. They needed a compound that was both highly volatile (vaporized easily) and chemically inert (something that wouldn’t react when exposed to other chemicals). Their group synthesized the first chlorofluorocarbon (CFCs). They named it Freon. Freon and its successors replaced the old refrigerants and eventually came to be used as propellants as well. After his death it was found that CFCs may be nonreactive on ground, but when they reach the atmosphere they destroy the ozone layer. Ozone molecules are formed by three oxygen atoms rather than the O2 we run across every breathing moment. Down here ozone is a pollutant, but in the upper atmosphere it absorbs 97-99% of the ultraviolet radiation from the sun. Progression of the hole in the ozone layer. The thickness of the ozone layer varies widely over the globe, and even by season. It’s generally thinner at the poles. But if it were spread evenly around the globe it would be a layer only 1/8 of an inch thick. This is what we have to protect us. Ultraviolet light breaks CFCs down and their chlorine atoms escape. Those rogue chlorine atoms act as a catalyst and break apart the ozone molecules that create the ozone layer. A single chlorine atom can break down tens of thousands of molecules. One pound of CFCs can destroy seventy thousand pounds of ozone. National Oceanic and Atmospheric Administration diagram of how CFCs destroy ozone. In the long term, Midgley’s discoveries gave us a world with high atmospheric lead levels impacting our physical health and mental well-being, plus a depleted ozone layer on a rapidly warming planet.